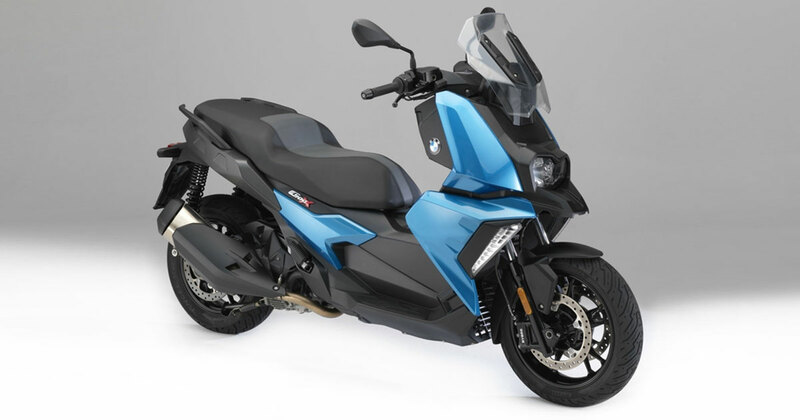 BMW Motorrad, German Motorcycle Manufacturer added new scooter in its product line called BMW C 400 X scooter. The company unveiled the scooter at EICMA Motorcycle Event in Milan. The company designed the new scooter keeping in mind the demand for global market, demand for sub 500 cc mid-sized segment premium scooter is high across worldwide. The new scooter is designed specifically for users who live in the urban areas. BMW C400X is powered by a 350 cc single cylinder engine which generates 34 hp at 7500 rpm whereas 35Nm of Torque at 6,000rpm coupled with efficient CVT gearbox. It also comes with Electronic fuel injection and digital engine control. The new scooter gets Automatic Stability Control (ASC) which provides safety on acceleration specifically on slippery roads. BMW C400X mid-sized scooter sports a rugged tubular steel frame and has a telescopic fork at the front and two spring struts at the rear along with ample spring travel. The scooter has a powerful braking system and braking duties being handled by twin discs at the front side whereas a single disc at the rear side coupled with ABS as standard. It is available in two paint finishes - Zenith Blue metallic and Alpine White non-metallic. Other highlighting features of BMW C400X are 6.5-inch full-color TFT display, LED headlight and tail light (standard).